Big Data is originally defined by the 3Vs – volume, velocity, and variety, although a fourth V – veracity – has entered the mix of late. Big Data is more than just information collection on a pedestrian level. Although you get there’s more data around than just 10 years ago, perhaps you don’t realize how much more! That is VOLUME! Big Data is emergence in a chaotic world. Big Data is phenomenal because data has always been available in our world, but as far back as recorded history, now is the first time we have begun to “see” data for the first time in the sense of the whole and not a sample. In the information age, we have become accustom to data everywhere but the proliferation of data collection is both exponential and relatively recent. Collection of data has been going on for centuries; however, in the past decade the volume has exponentially increased. Underlying this accumulation is also the progression from analog to digital storage, which has consequences and capabilities of its own. 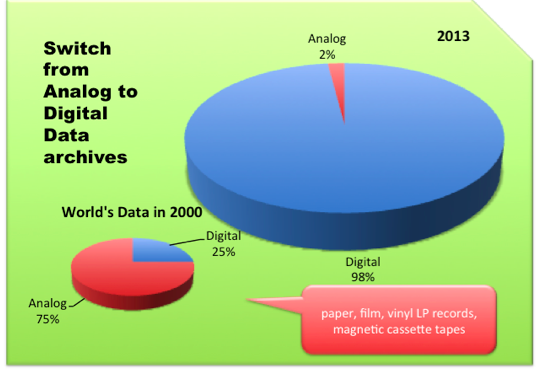 The evolution of a digitized process (digital conversion of analog data) to a digital one (complete digital capture) is only just underway. Formerly, most information was collected via humans and converted to a data format (spreadsheet, database, etc.). Now Big Data reflects the flip to collection via machines and networks that capture human interaction in physical spaces (machine learning, telemetry, etc.) as well as digital (transactions, email, social networks, etc.). 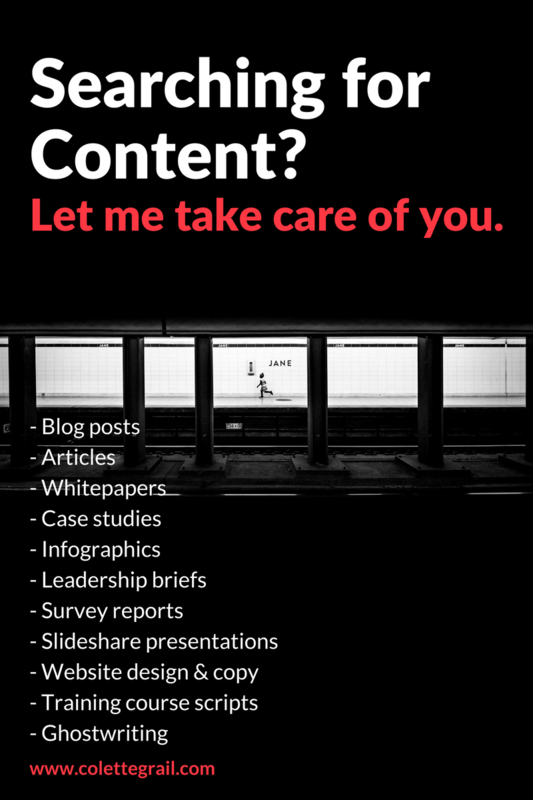 Your personal trail of information is your digital exhaust and like an old Chevy burning oil, by and large your information is visible to the world as you go about your journey. Next up: Velocity – Just how fast are we going?